Wired features Pearlfisher's design of Femme in a packaging roundup. 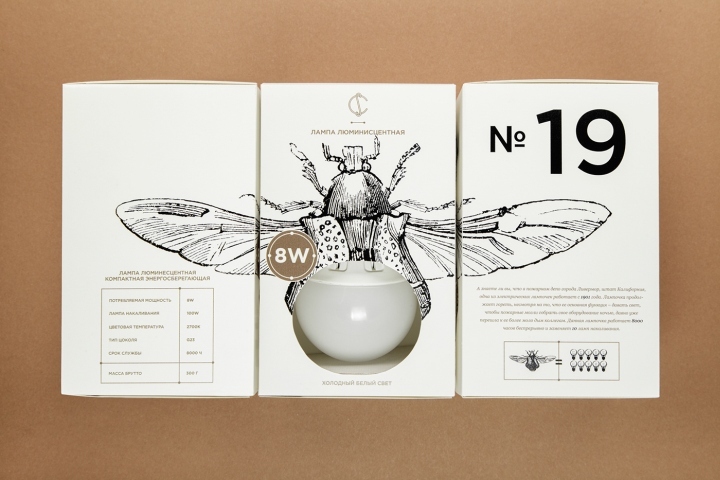 Design blogs these days are full of images of gorgeous packaging. The rising popularity of small-batch, artisanal, and locally-made goods likely plays a part in that. Indie brands call for artsy looks. 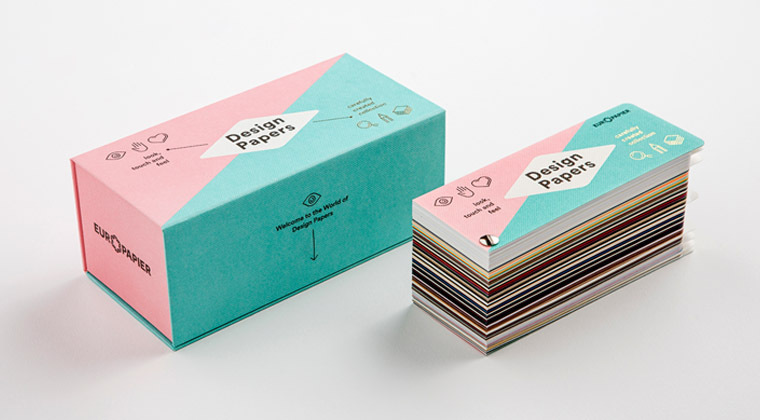 Most of the time, however, these beautiful designs envelope goods that tend to sell themselves. Wine, mezcal, small-batch olive oil, chocolate, botanical soaps—these are luxury items, and you probably already want them. It’s harder to sell the banal; nobody wants, say, a light bulb. That said, here’s nine packaging solutions that make it look easy. Europapier sells paper—you can think of the Vienna-based company as Europe’s fancy Dunder Mifflin. To market its product, Europapier provides potential customers with catalogs of samples. To spiff up the process (and to attract graphic design clients), Europapier recently commissioned Belgrade design studio Metaklinika to create the Design Papers box. These pink and teal packages look like they should contain macarons. In fact, they hold paper samples—240 swatches, to be exact. Do fireflies remind you of lightbulbs? You’re not alone. Their bioluminescent enzymes produce very little excess heat, a characteristic that has attracted the attention of researchers in pursuit of better LED technology. Now, CS—the largest electrical company in Belarus—is using fireflies to advertise its bulbs. Belarusian designer Angelina Pischikova created the packaging, which mixes scientific engraving-like drawings with cutouts, to reveal the products within. Dried fruit: After toothbrushes and pretzels, it’s what every kid hopes to not get when trick-or-treating. Dried fruit, or “nature’s candy,” typically belongs in the bulk bins at the grocery store, next to the dried lentils and rice. 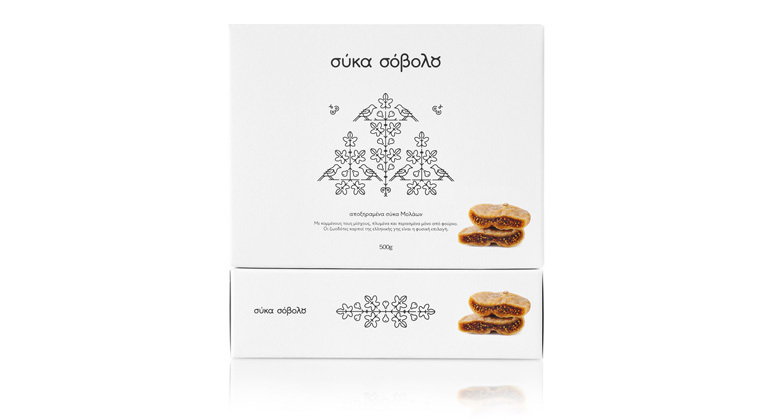 But for Sovolou, a Greek packaged foods company, design studio Mousegraphics put a more mythical spin on dried figs: “Figs are described in ancient Greek literature by the likes of Homer, Plutarch, and Theophrastus. They are celebrated in Greek folk songs along with local fauna and flora,” reads the Cyprus-based studio’s project page. For the packaging, Mousegraphics created a simple coat of arms, made of pictographs meant to reference Molaoi, Sovolou’s hometown in Greece. The pet food aisle isn’t exactly a hotbed of inventive branding, but then, Ollie isn’t your standard Alpo fare. The startup sells subscriptions to premium dog food, and can even create custom recipes for customers’ dogs. Communal Creative, the New York design agency responsible for the packaging, created a spare and spunky visual identity for Ollie, to make it look more in line with other personalized and on-demand services. 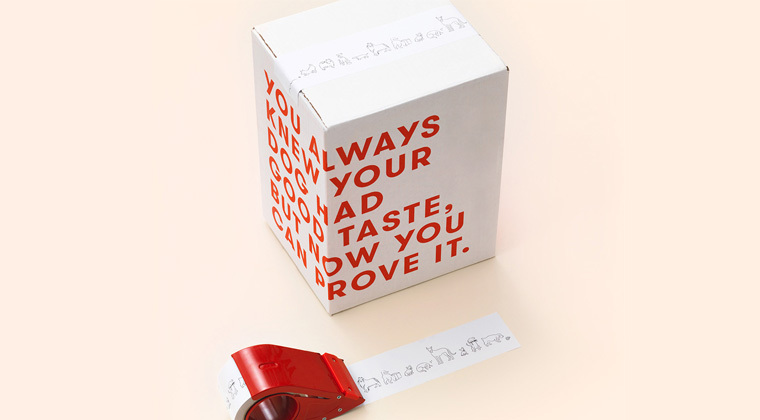 The boxes and ancillary packaging materials don’t rely on images of dog food, or even pictures of dogs—those are clichés by now. “Sports supplements” probably conjures up images of GNC stores at the mall, or seedy backpage ads in magazines. 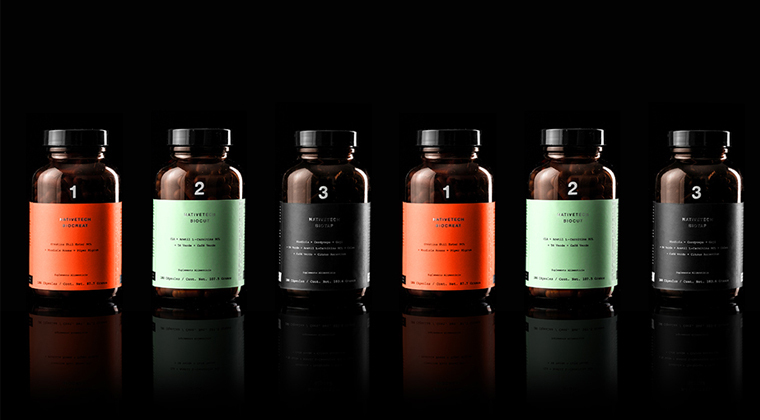 To give sports nutrition brand Nativetech a more cultured look, Mexican design studio Anagrama created a packaging concept that combines bold graphics with a restrained text treatment. No overblown promises or pictures of too-tan muscled bodies. Despite Silicon Valley’s recent fascination with companies in the menstruation space, tampons themselves have not changed much in a while. It’s still a fairly unremarkable piece of cotton on a string. The packaging for Fémme, however, might suggest otherwise. The new tampon line comes from the Chinese company Yoai, who worked with global design studio Pearlfisher to create this ladylike packaging. 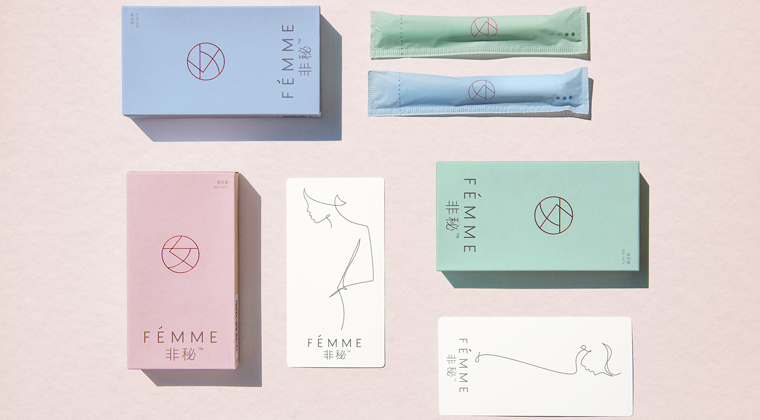 Pastel colors—still very much in vogue—and calligraphic line drawings decorate Fémme’s boxes, making it look less like the usual hygiene products that sit next to Depends at the drugstore, and more like an expensive line of perfume. High-end cookware typically comes from heritage brands, most of which are European and whose marketing materials typically sport a lot of cursive lettering and embellishment. 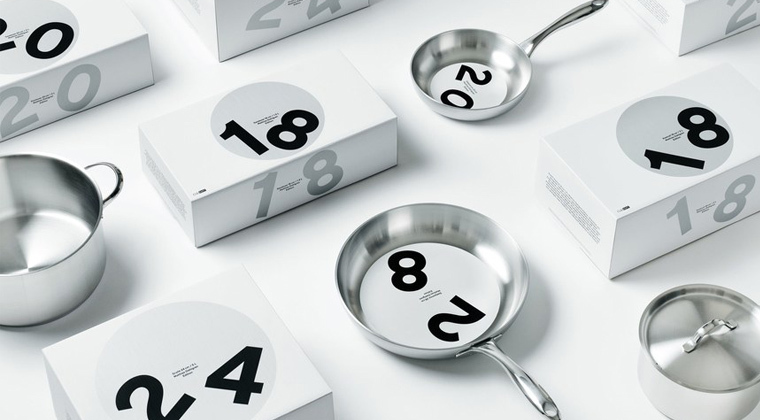 For this line of pans, from Swedish chef Mathias Dahlgren, Essen International cooked up (sorry) a more modern packaging scheme. The minimalist boxes seem to take inspiration from the simplicity of mid-century Braun gadget design (the circular shape of the wheel mimics Braun’s dials) as well as modern, bright-white Apple packaging. Louise Fili has a unique knack for infusing old world charm into anything she designs. The New York designer, and the creator of logos for brands like Paperless Post, Tate’s Cookies, and Good Housekeeping, draws on old signage from Italy and France for inspiration. 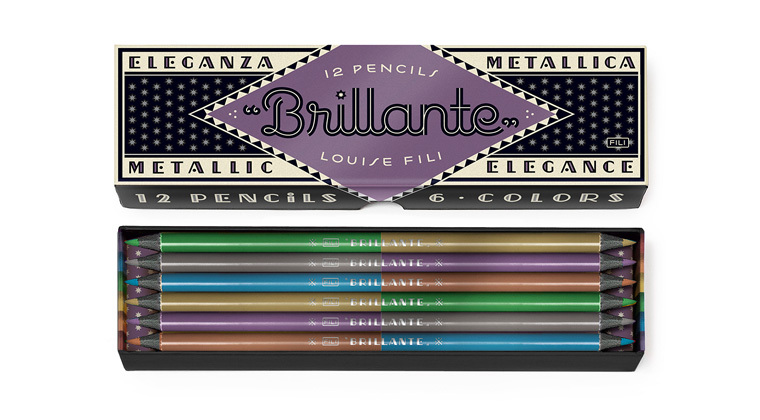 The influence is evident in her Brillante pencil sets. These aren’t anything like No. 2 pencils sold at Staples—Fili based the Art Deco box design on vintage packaging she collected over the years, while traveling in Italy. The pencils won’t last—they never do—but Fili’s designed a box that’s a keepsake in its own right. 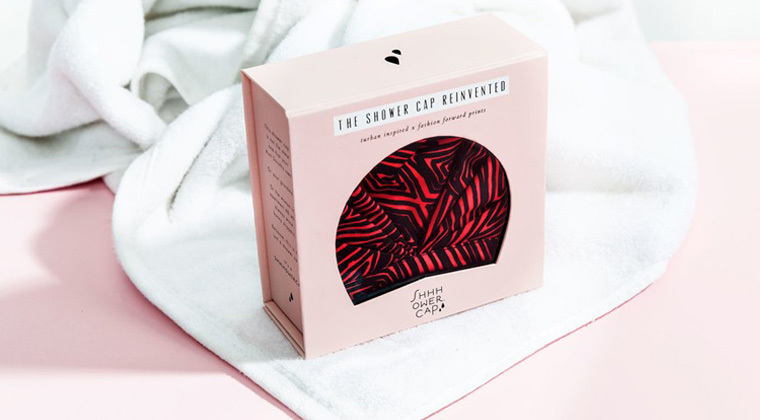 Jacquelyn De Juso founded Shhhowercap as an alternative to the crinkly, poofy, sexless shower caps of yesterday. Her designs look less like plastic bags and more like chic turbans that happen to repel water. To communicate that update from the shelf, De Juso partnered with her husband, a design director at Coca-Cola, to devise a modern packaging scheme. The millennial-pink boxes sport just a few pieces of black text. De Juso says she refused to include any kind of photo or illustration on the box, as it would pollute the otherwise clean-looking branding. The diecut window solves that—it lets the Shhhowercap speak for itself. This article was originally published by WIRED Magazine, here.